IBM Employee Experience Suite provides social networking, online collaboration and content management capabilities to help you create a more engaging digital employee experience. This employee experience solution can be used on a variety of platforms and devices to support employees in or out of the office. Deliver targeted and dynamic content to employees. Take advantage of online collaboration capabilities to help your teams work efficiently, find experts, and share ideas and content. Organize, post, share and evaluate documents, presentations and images, and enable content owners to quickly create rich web content without the need for IT. Take advantage of role-based dashboards and scorecards to help your employees understand and improve performance. 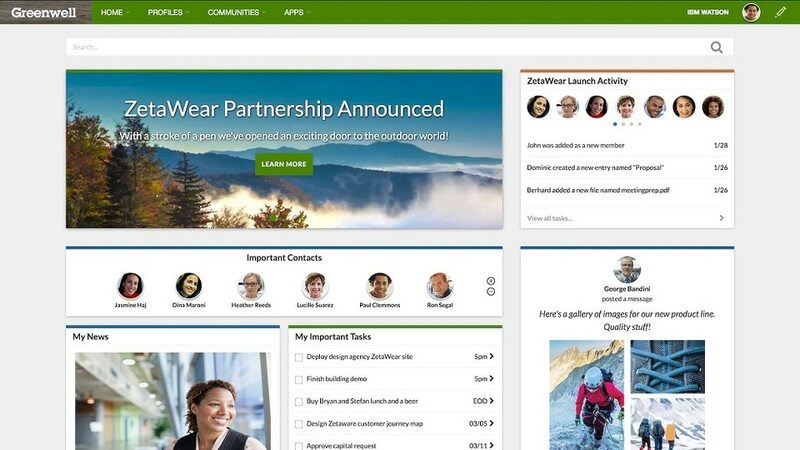 Create a custom-branded intranet environment to help protect and extend the identity of your company’s products and services. Gain insight into social trends, user activities and content through direct integration with analytics solutions.